Disclaimer: I did not receive any compensation for this post. A couple of years ago, I reviewed “Who Loves Aidan” a personalize book by I See Me! for my son. Now it is my daughter’s turn to have her own book. My daughter loves to play dress up and has tea time just like Fancy Nancy. I decided to find a book that captured my daughters’ interest especially her imagination. I ordered the book “It's Fancy To Be Ashley” for her. It was the perfect choice for Ashley, as it had all her interests in one book. I See Me! has many books to choose from. You can personalize them specifically to your child. I was able to add Ashley‘s name, photo, and a message dedicated just for her. I See Me! gives you options to change the character skin color and eyes, all to resemble Ashley. Storytime has taken a whole new meaning. I can cuddle up with her and read her a bedtime story. This book is personalized and unique to your child. It is all about her and makes her want to read. A plus in this mom’s book. When you find a product that you love, especially one that has your child as the main character it's a win-win for all. 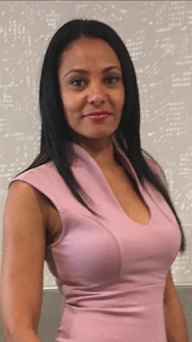 Especially given what we now know to be that reading to children at a young age supports cognitive development, improves language skills and improves imagination and creativity. You can order your own personalized book at I See Me! follow I See Me! on Facebook, Twitter, YouTube and Pinterest and sign up for their emails to stay up to date with new books and exclusive offers. Personalised books are such a wonderful idea. Not only is it so special for children but this also helps them to develop a love of books at a young age. 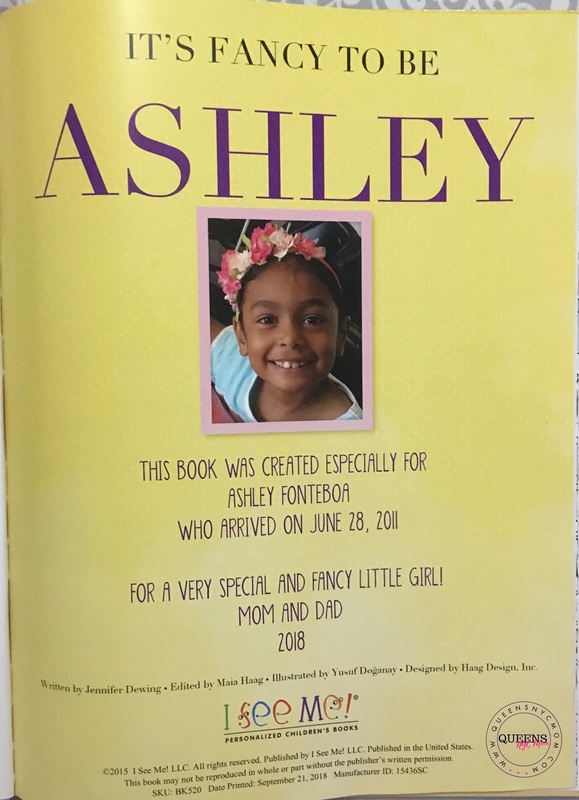 This book certainly came out so well for Ashley and any parent would surely love to give something like this to their child. Getting personalized books was very popular several years ago and I went and got them for my children. They loved reading their names in the story line. 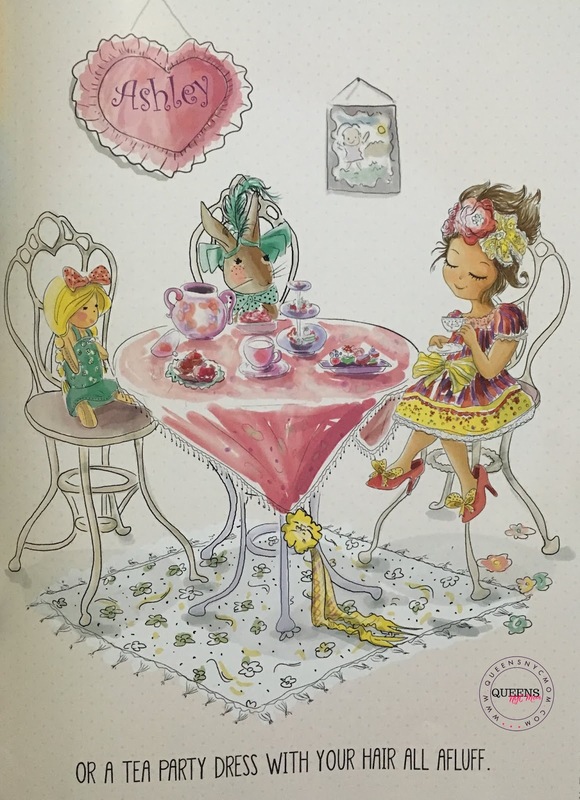 What a adorable book and the perfect Gift for the little girls on our Gift Giving List. I can't wait to show it to my sister. THis just reminds me that I have to really start thinking about BABY BOOKS at some point VERY SOON! I am due in about 2 months + and I have thought about NOTHING! LOL! I love when books can be personalized! I know my kiddo loves the books he has that are for him personally. That is one book they will never get rid of! What a great gift idea! This is such a great way to get kids to be interested in reading when they can see themselves in these personalized books. I have to get these for all my nieces and nephews this season. I love the concept of personalized books. This is such a wonderful idea for children. 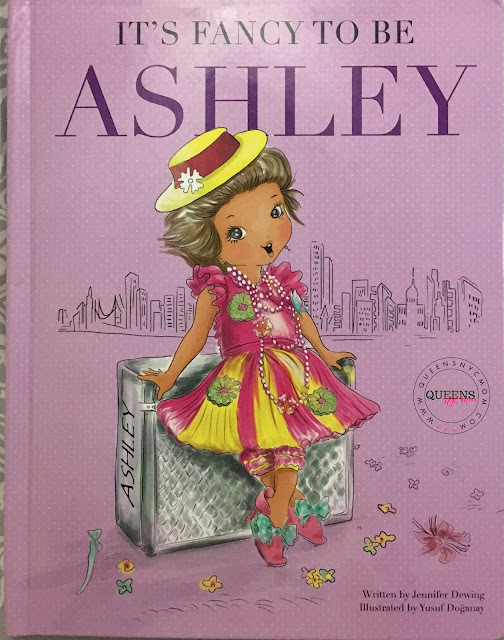 My daughter's name is Ashley and I was tickled to see her name on the book. I gave personalized books to my nieces and nephews last year. They loved seeing their names in print. Oh my gosh these would be amazing for my nieces! I am adding some to my amazon cart now! This book is SO cute. I keep seeing books like this and thinking I need to get one for my kids, it would be so fun to have! How much fun is it to have a personalized book. I have one for the babies in our family and they love it. Your daughter is adorable too! 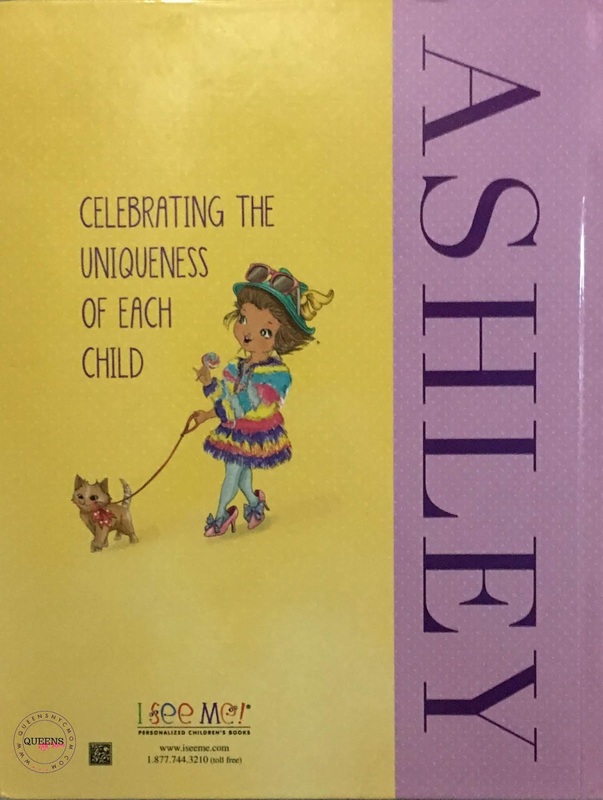 My name is Ashley so naturally this book is amazing! I love that you can have your child's picture added into the story. This is such a cool and unique idea that I have never seen before. I have a 7 year old daughter too, and she would definitely love a personalized book! I remember getting a personalized book when I was little! They've been around so long, but are so much more affordable now! 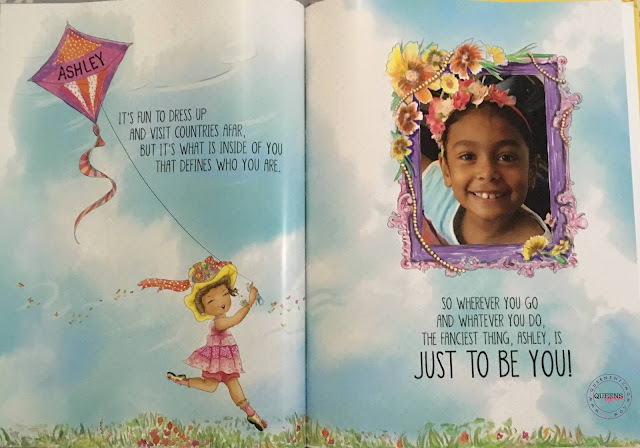 This book has a great message for kids of all ages. A personalized book adds even more fun to the reading experience! Love this. This unique feature sounds like a wonderful feature to get kiddos reading. I am curious if they have a set for boys. What a fun and thoughtful gift! Reading is a big hit at my house, but when you get to be the star of the story, I can't help but think it would be even cooler! Heading over to check this out! My daugher loves reading. She loves books and like to buy new books all the time. I am sure she will love " It's Fancy to be Ashley!" I love I See Me books and so do the kids. I know your daughter will enjoy her book. My daughter and my sons enjoyed their I See Me books and still have them on their bookshelves. Personalized books are such a good idea! I want to get one made for my granddaughter. She is a girl after my own heart because she loves books just like me! Getting personalized books is really good idea, this will create love for reading from young age. My son loves to read.Where as daughter is not much interested. I need to get her one. what a special gift a parent could ever give to his child! I love the cute idea and the short story too!